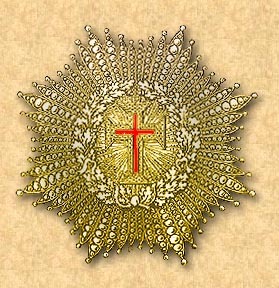 The Supreme Order of Christ is the highest order of knighthood awarded by the Pope. As part of the re-structuring of papal honours by Pope Pius X, the Order of Christ was made the senior-most Papal honour. Traditionally it was awarded to senior Catholic Heads of State, but may be awarded to anyone as a personal gift of the Holy Father. The usage of the Supreme Order of Christ was restricted under the pontificate of Pope Paul VI in his 1966 Bull Equestres Ordinis, to Catholic Heads of State to whom it might be given only to commemorate very special occasions at which the Pope himself was present. It is now rarely awarded. The last public award was made by Pope John Paul II in 1987 to Frà Angelo de Mojana, 77th Prince and Grand Master of the Sovereign Military Order of Malta. With the death of King Baudouin of the Belgians in 1993 there are no living members of the Order of Christ who were awarded the order publicly. However, there may be members who were awarded the order privately. There are no official records.